A new feature have been introduced by the government into the SingPass service. Residents who have yet to register for SingPass’ new two-factor authentication (2FA) will automatically receive a PIN code to help them enrol. Letters will be sent between next month and April containing a PIN which they must use to activate the 2FA by July 4. From July 5, the 2FA will be compulsory for all sensitive e-transactions with the Central Provident Fund Board, Inland Revenue Authority of Singapore, Ministry of Manpower and Accounting and Corporate Regulatory Authority. The process uses a one-time randomly generated password (OTP) delivered via SMS or a token that looks like a mini-calculator. 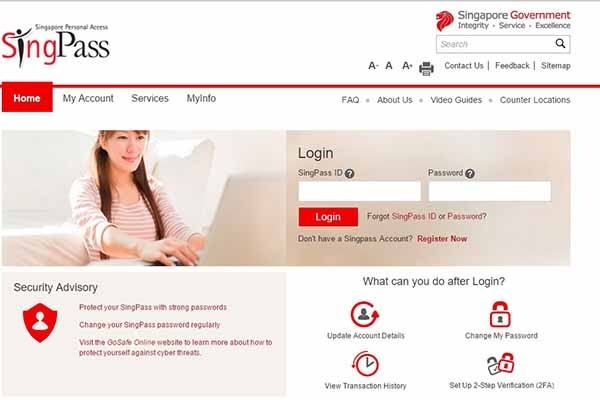 The OTP must be entered in addition to the usual SingPass – a password setup since 2003 – and NRIC number for accessing e-government services. 2FA feature was launched last July to counter security breaches. However, because of the confusion faced by users, it turned away user sign-ups only until recently. Even though Info-communications Development Authority of Singapore (IDA) have declined to reveal the numbers for 3.3 million SIngPass who have actually signed up for 2FA thus far, it is however reported that the numbers were considerably small. Thus, IDA simplified the method of signing up with this new feature. We will expect to see an increase in the number of users due to less hassle and better understanding. "We are consistently improving our e-services to ensure they are as user-friendly as possible without compromising security," said Ms Jacqueline Poh, managing director of the Infocomm Development Authority (IDA), which administers SingPass.